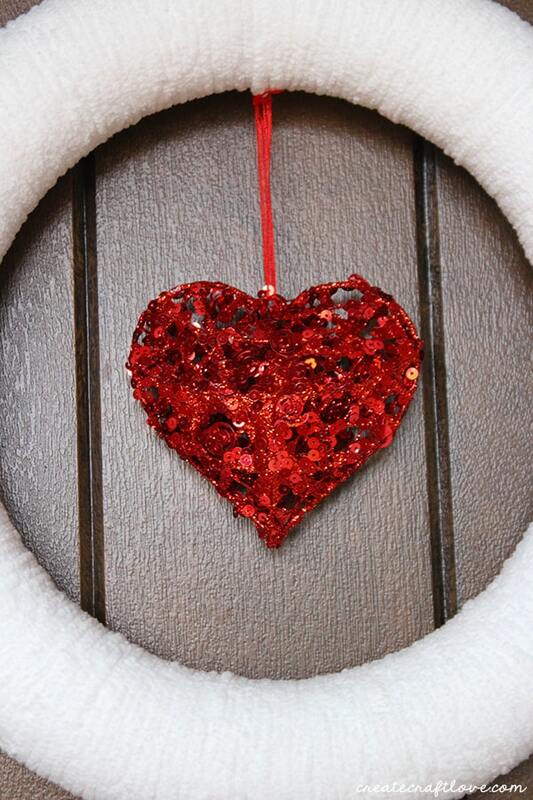 I haven’t made a new Valentine wreath in ages! 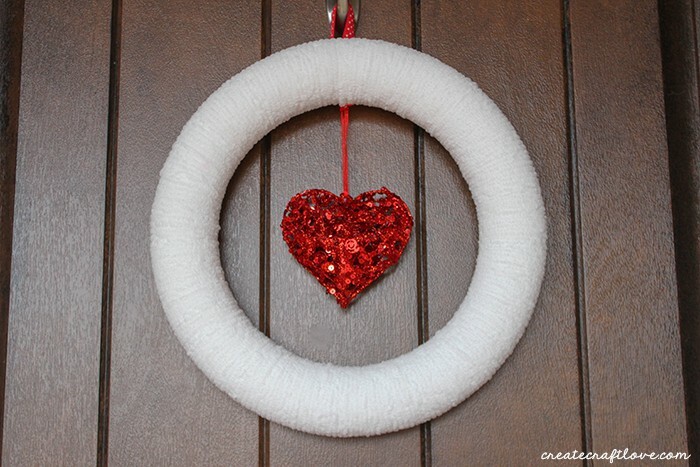 My Cupid’s Arrow Wreath and Cupcake Liner Wreath are among my wreaths of Valentine’s past. 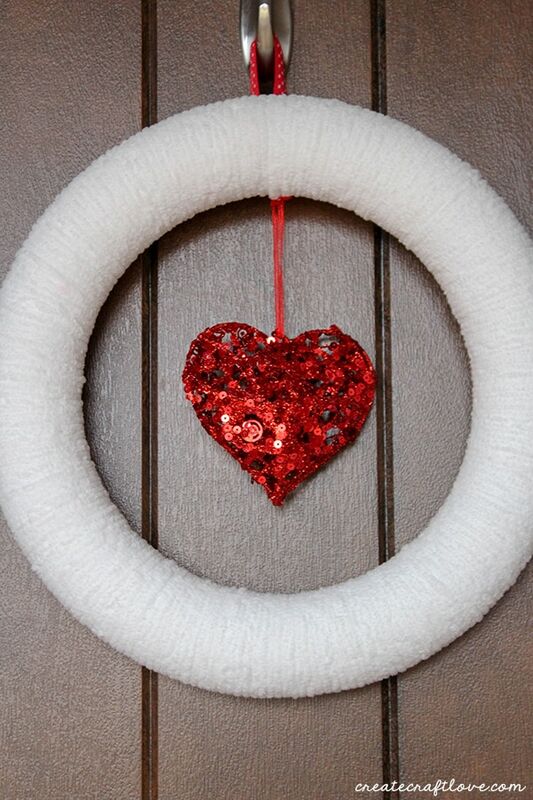 Originally, I had planned on making this wreath for winter and then changing it for Valentine’s Day. Unfortunately, time got away from me and I did not make the winter wreath. 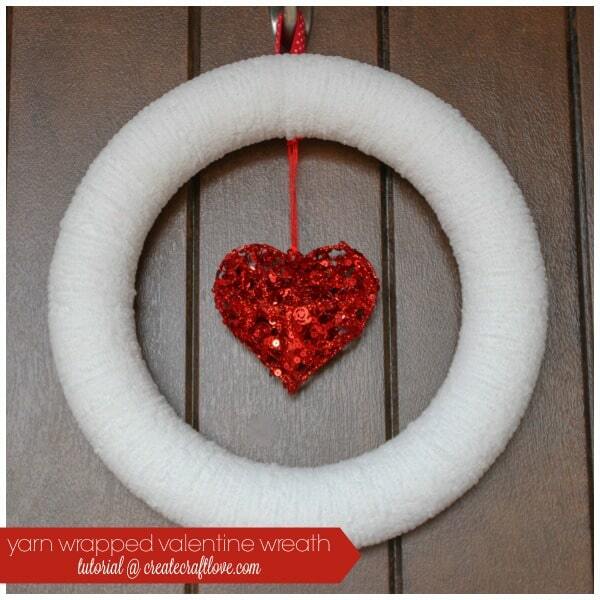 This Yarn Wrapped Valentine Wreath is easy to make and can easily be changed for other seasons! 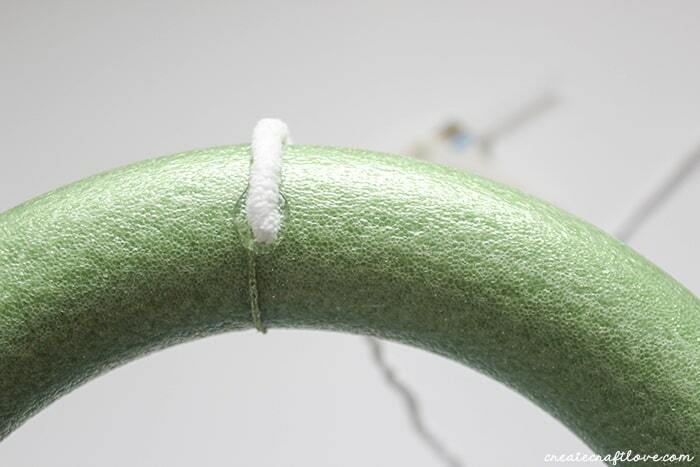 Place a dob of hot glue on back of the wreath form and glue the end of the yarn in place. Begin wrapping the yarn around the wreath. 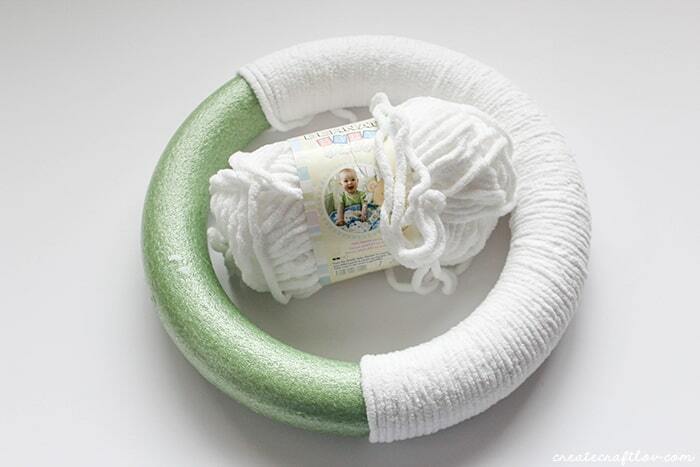 Keep the yarn tight and close to each other so as not to let any of the wreath form show through. Now sit down and watch your favorite show. It will take about 30 minutes to wrap the entire wreath. 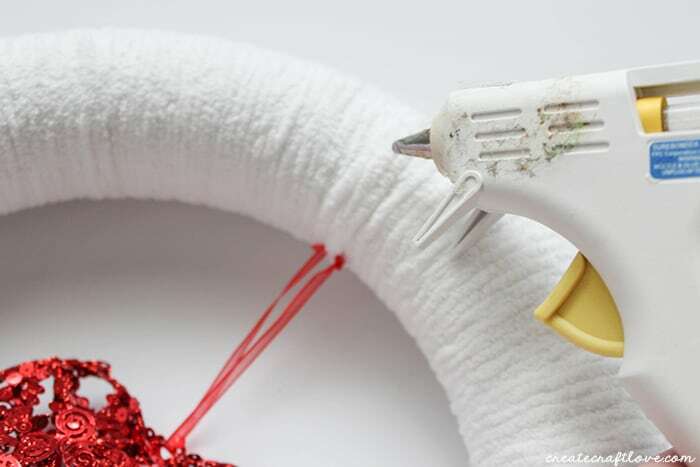 After you’ve finished wrapping, you will want to cut the yarn and hot glue in place. 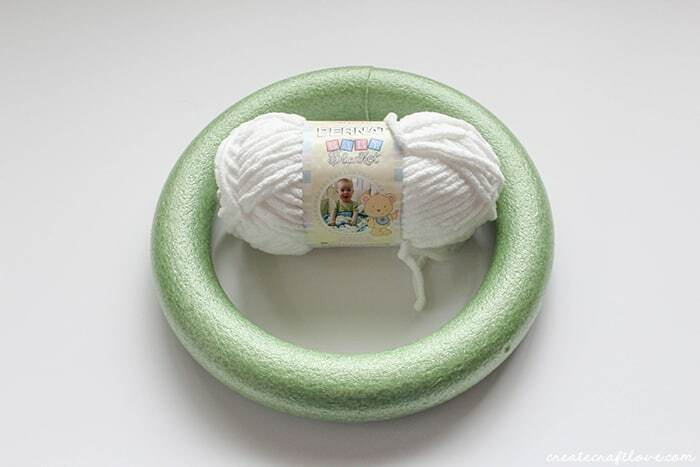 BUT BEFORE YOU DO THAT – thread the yarn through the ornament ribbon. This will allow the ornament to hang in the middle. OK now you can glue the end in place. Finally, we are going to make a hanger. Cut about a 4 inch piece of ribbon. 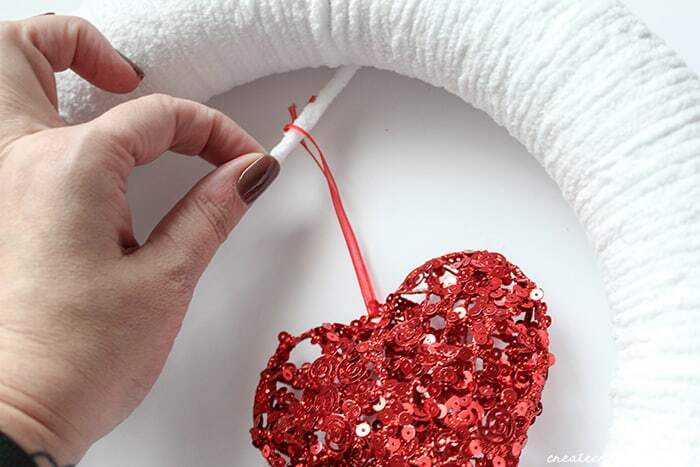 Fold the ends together and hot glue. 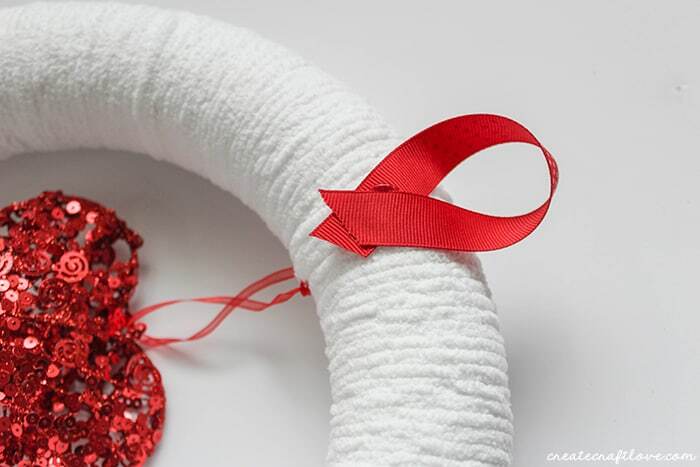 Once that dries, you will hot glue the ribbon hanger to the back of the wreath. Right over where you glue the end of the yarn in place. 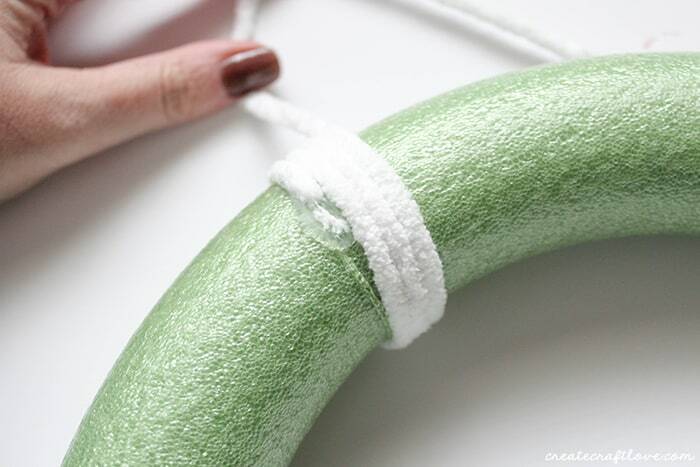 If you want to change it out and make a winter wreath instead, carefully pull off the hanger and end of the yarn. 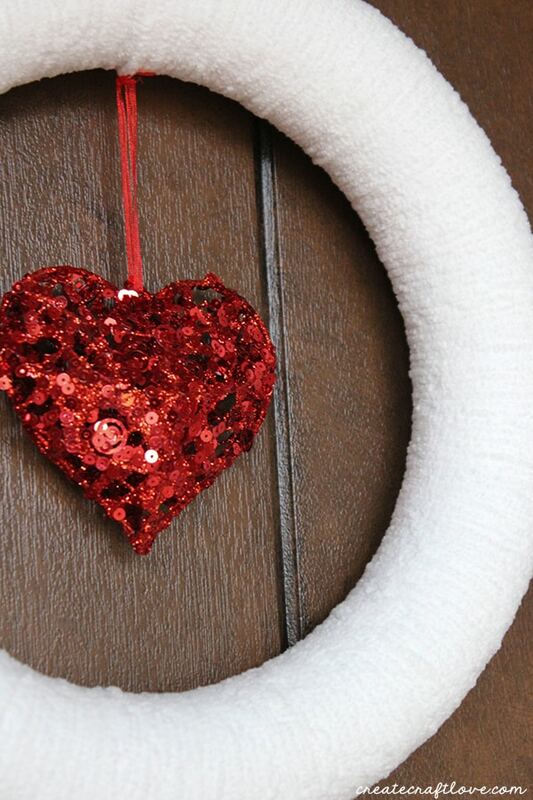 Switch out the ornament with a white or silver snowflake and create a white ribbon hanger. I love how simple it is. It looks pure, just like unconditional love.